Another day, another beloved video game gets cloned by an iOS developer out to make a quick buck. 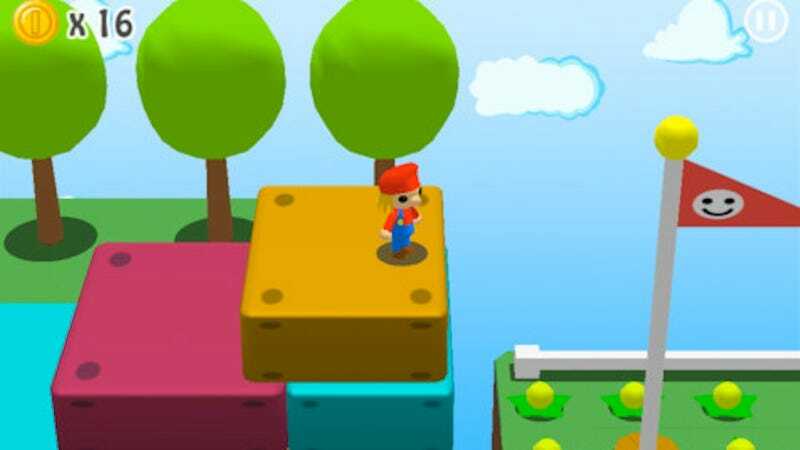 The current victim is Nintendo, a company that is seeing their lovely 3DS game Super Mario 3D Land pilfered by the creators of 3D Cartoon Land Safari. Naturally, the everyday Joes and Janes who review games in the iTunes/App store have thrown tomatoes at this game. A user known as 忒女亠双母痨爽朗遛劫 世 damns with the faint praise that this game "has potential" and remarks: "If this game gets smoother, and better weapons Il change it to 5 stars." The outrage is apparent in dcgrove1's review. "Slow and boring", they say. "Not a very good game. May be interesting to smaller children." Don't fret for the game's developer, though. Mean as these reviewers may be, our fearless cloner has another Mario rip to sell. Maybe that one will be better-received.